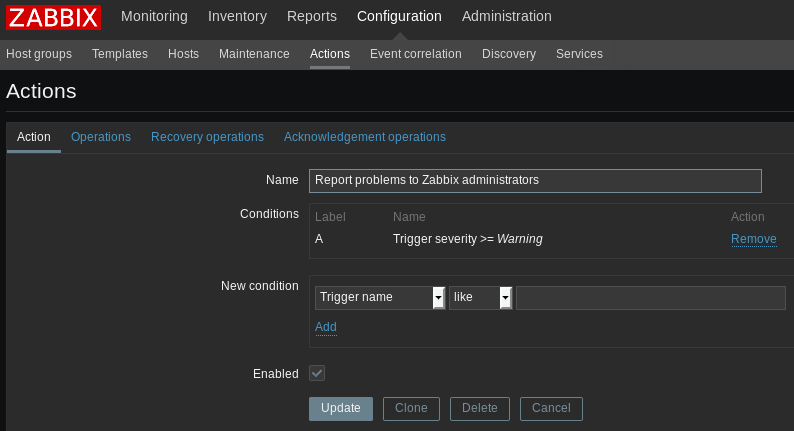 Zabbix should theoretically be able out of the box to send alerts via XMPP. 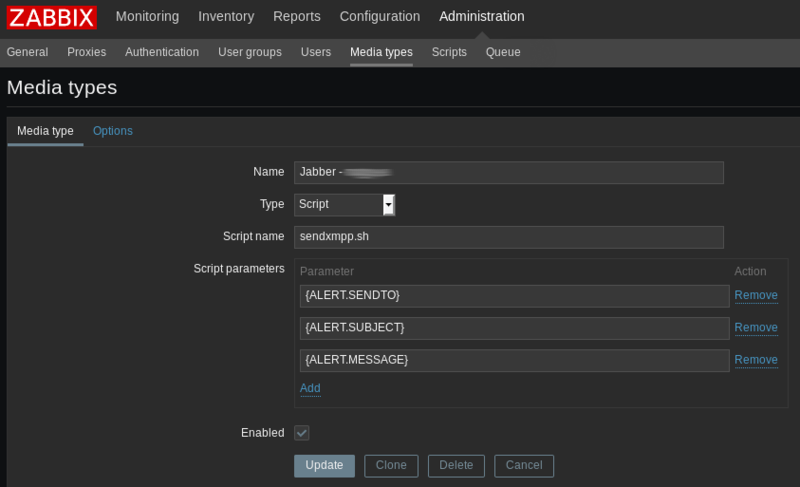 For some reason this functionality does not work as intended, luckily it is possible to specify a custom script to send alerts; combining the aforementioned script with the Perl library sendxmpp is the easiest solution to solve the issue. 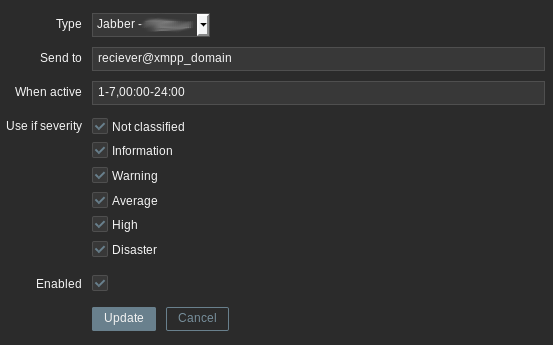 3. navigate “Configuration” -> “Users”, click on a username, navigate to the “Media” tab, add a new one and specify the receiver XMPP address. You should now receive XMPP notifications.